New Delhi, January 24: Prime Minister Narendra Modi’s ruling coalition National Democratic Alliance (NDA) will emerge as the largest group in a parliamentary election expected in the next few months but will fall short of a majority required to rule, a new nationwide survey showed on Thursday. 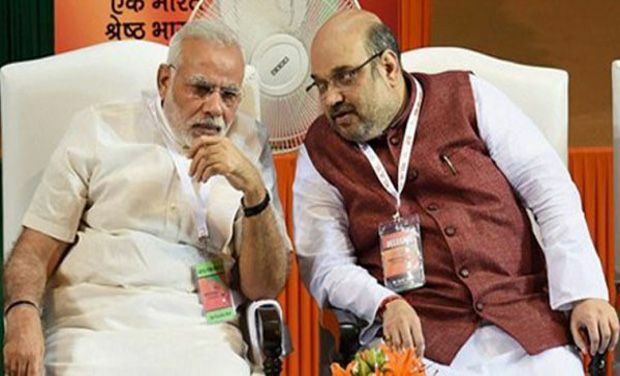 The ruling Bharatiya Janata Party-led alliance is forecast to win 233 of the 543 seats in parliament at stake, the poll by ABP News-CVoter said, short of the half-way mark of 272. A survey by India Today-Karvy Insights put the BJP and its allies on 237 seats. On Wednesday another survey showed the BJP facing a rout in the most populous state, Uttar Pradesh, which sends the largest number of representatives to parliament and holds the key to which party forms a government. Thursday’s poll also showed the BJP doing badly in Uttar Pradesh, slumping to just 25 of the 80 seats at stake. In 2014, the state propelled Modi to victory handing his group 73 seats. The ruling BJP will make up some of its losses with victories in the eastern states where its influence has been limited in the past, the poll said. But it will still be 39 seats short of the simple majority required to rule and will have to try to stitch together alliances with regional parties. Some of these small groups are wary of aligning with Modi’s group, however, which is seen to have pursued a partisan Hindu-first agenda and raised disquiet among the country’s 160 million Muslims. The ABP poll showed the main opposition Congress taking 167 seats and the regional parties together 143. The Congress has appointed Priyanka Gandhi, sister of its president Rahul Gandhi, to a party post in a move aimed at further energising the party ranks who see the Nehru-Gandhi family as vote-getters. India Today said it conducted face-to-face interviews with 13,179 voters across 97 parliamentary constituencies for its survey.